Nothing quite pleases a ghost hunter and paranormal prowler like the story of a Victorian medium who came to her powers after being diagnosed with a tumor, and who was vetted by the Society for Psychical Research as well as by Dr. Hodgson (who examined also Madame Blavatsky and the Theosophical society and called them all charlatans! )The story of Leonora Piper is a truly remarkable one. She “hosted” more than one entity, including a French doctor– Dr. Phinuit– an actress named Mrs. Siddons, Johann Sebastian Bach, Henry Longfellow, Commodore Vanderbilt (the Italian multi-millionaire) and a young Italian girl named Loretta Ponchini, and by some accounts she also channeled Abraham Lincoln and George Washington! Phinuit is said to be her primary “control” and appeared most regularly and readily, speaking in a unique French dialect. 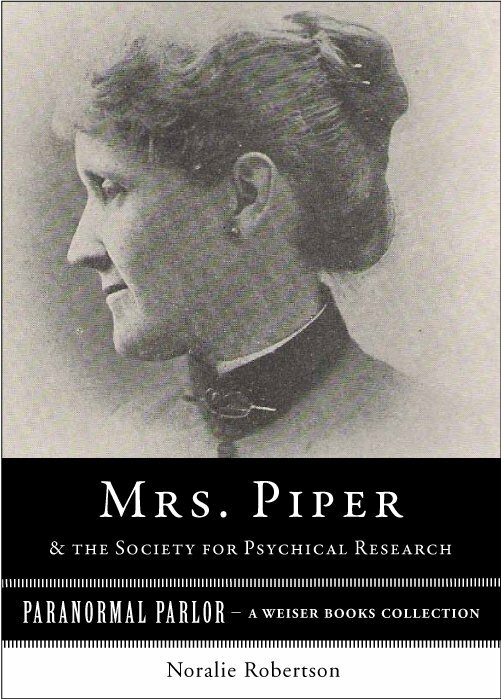 Click HERE to read more about Leonora Piper in Mrs. Piper and the Society for Psychical Research, from the Paranormal Parlor Weiser Books Collection. This entry was tagged channeling, ghosts, Leonora Piper, Madame Blavatsky, paranormal, Paranormal Parlor, psychic, The Secret Doctrine, The Society for Psychical Research. Bookmark the permalink.